More than ever, rising crime rates are creating a need for self-protection. This need, along with an increased awareness of health and fitness, has led to many people of all ages to study Karate. 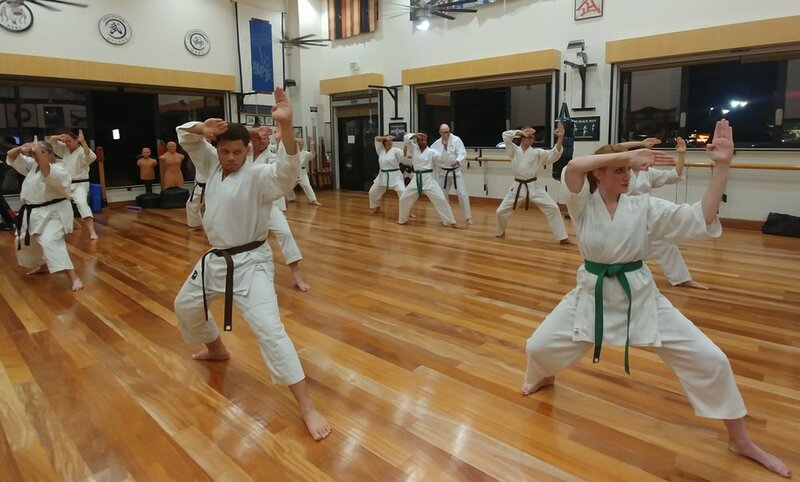 Here at the Claremont Colleges Shotokan Karate program, we strive to promote a positive image of martial arts and their many facets. 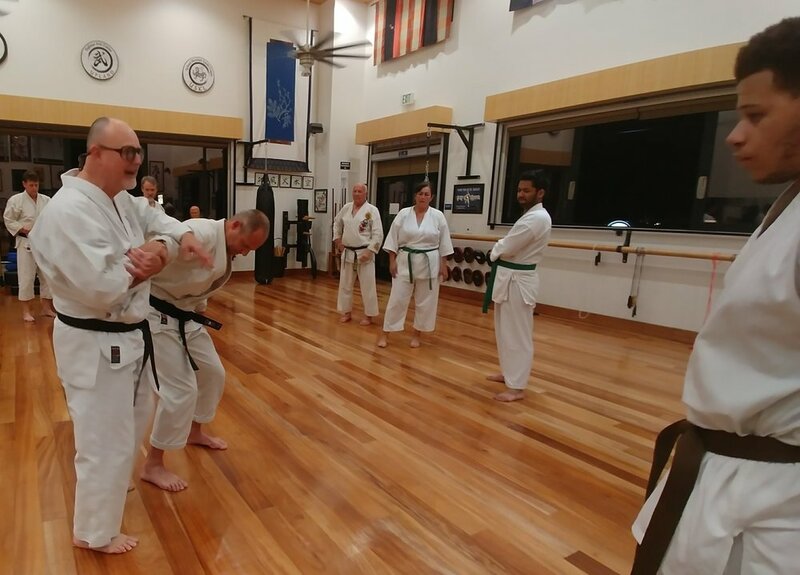 The Upland Shotokan Karate League (USKL) has been teaching karate at the Claremont Colleges since 1974. The style of karate, which forms the foundation of our training, is called Shotokan, (Shoto was a pen name used by its founder, the venerable Gichin Funakoshi). Its origins are from Okinawa, but was later refined in mainland Japan. Moreover the breadth of experience of our instructors allows us to incorporate elements from other styles. Our teaching style is balanced, placing equal emphasis on hand and foot techniques. 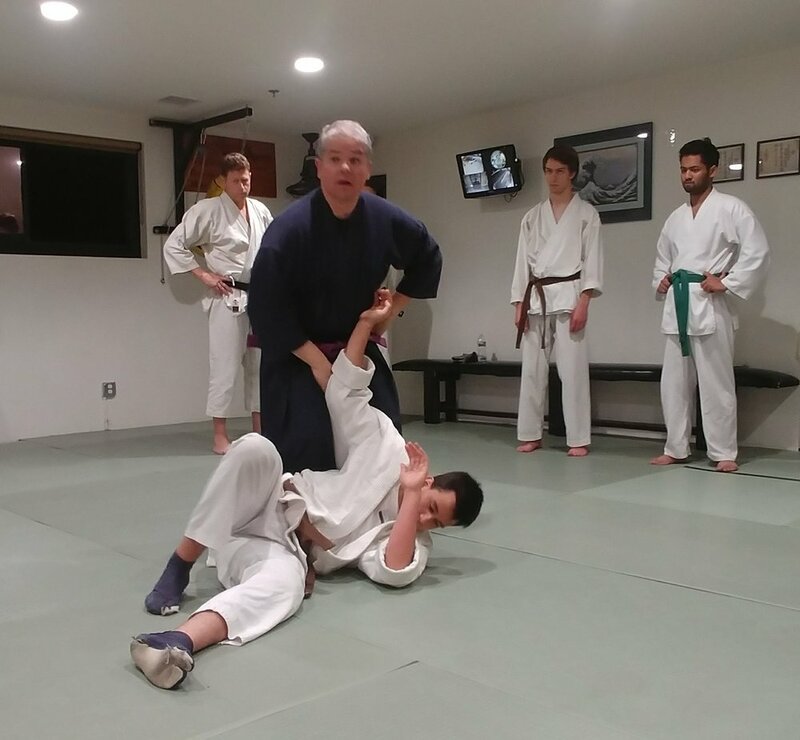 In addition, students will also gain equal proficiency in the kata (prearranged movements using offensive and defensive techniques), kumite(one step and free sparring), and self-defense. Aside from the physical aspect, we strive to adhere to the principles, values, and philosophies of the art. Karate should never be practiced solely for fighting. Unfortunately, martial arts as portrayed in the movies, tend to exaggerate and glorify violence. The true purpose if the arts is the nurturing of a sublime spirit; a spirit of humility and a greater awareness of one's self and other 's. Karate-do is founded on a tradition which seeks to fulfill three primary objectives apart from self-defense. First is the promotion of good health and vitality. This is achieved by improving one's aerobic fitness, coordination, strength, flexibility, and reflexes. Second, a higher level of understanding of the art, both physically, and intellectually, which includes the study of culture, traditions, and philosophy. 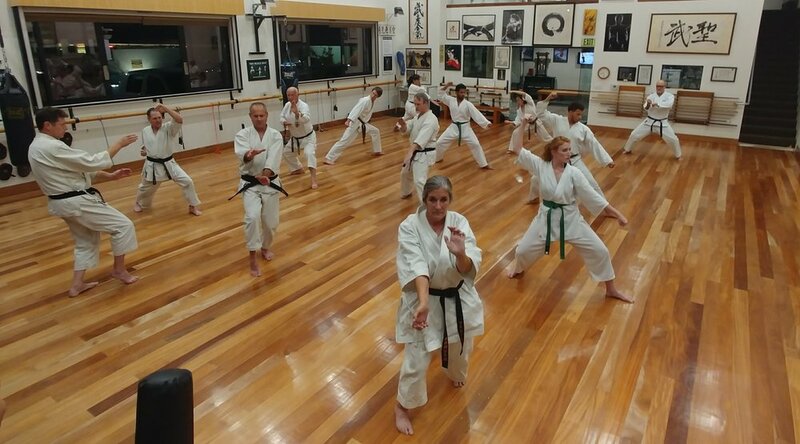 Third, karate strives to cultivate and nurture a healthy attitude among its practitioners, shaping one's character by realizing the value of such traits as benevolence, courtesy, respect, humility, and recognizing the worth of all human being. The student who perseveres will develop courage, self-control, and self-discipline. 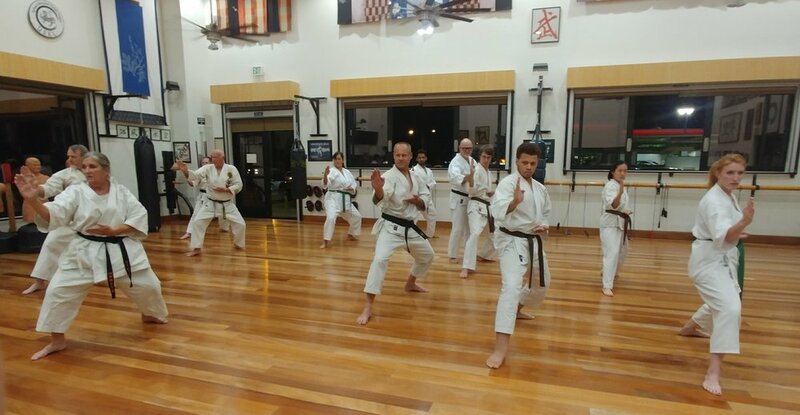 If these three objectives are kept in view and looked to for guidance, karate becomes a learning process and an extremely valuable link in a person's general pattern of growth, development, and change throughout life, as well as an excellent means of prolonging that life by keeping physically fit. Karate is a sport of individual competition. Under strict and safe rules designed for competition, karate tournaments become an outstanding example of the skill resulting from the hard work and discipline necessary to master this art. In karate, in a effort to better ones self, a person competes more with him/her self than with others. It is impossible to relate to you the full range of benefits available. The training itself stands as the best testament to its worth and value. You will reach an optimal level of fitness, acquire the ability to defend yourself, and gain stability and peace of mind. 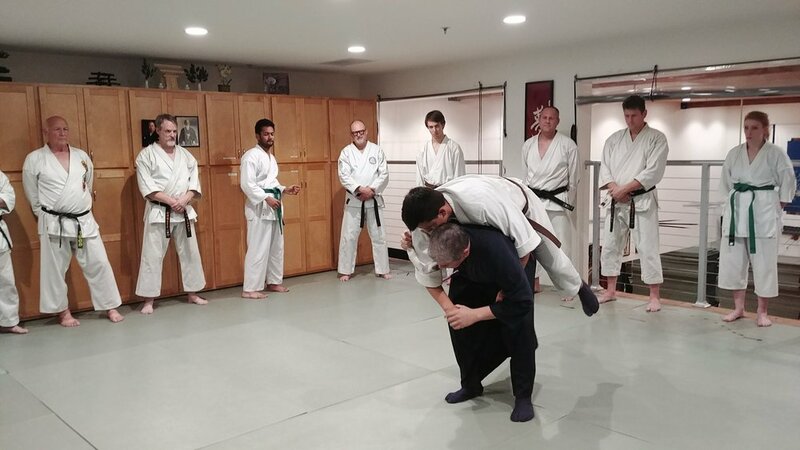 The discipline and concentration will help you to achieve your fullest potential, and as students and instructors work together toward a desired goal, the training principals and values that karate has to offer serve not only to enrich our lives but to influence a more positive life-style as well. Attendance: Maximum of 4 unexcused absences per semester. Make-ups: Classes are offered at both Raines Center Po. Col. (Mon. & Wed.) and HMC LAC(Tu. & Th.). If you miss a class you can easily make it up at any one of these available classes. Students should arrive at least 5 minutes early. If your interest lies in obtaining rank and results, it is imperative that you maintain a diligent and consistent training routine. Students who are not paid up on their fees will not be allowed to participate in class. Semester Training Fee: The training fee is $50.00 per semester. All students must register and pay class tuition at your respective registrar 's office. The College has also instituted an automatic debit policy. Attire: The uniform (gi) is mandatory at Green Belt. Until then, shorts or sweats are acceptable. Test fee: $25.00 for belt change or kyu change (i.e. stripe on belt). Uniform and test fees are payable to Ty Aponte. You are responsible for making sure the appropriate materials are on the file with your college registrar's office. If you should decide to drop, it is important you notify your school's registrar's office immediately. If you do not, you will receive a no-credit at the end of the semester. No one under the influence of drugs or alcohol is permitted to train. No gum chewing. For safety, jewelry must be removed before class. All articles of clothing and personal belongings should be placed neatly in the back of the room, instructors are not responsible for lost or stolen items. Please leave valuables in your dorm room. Do not disturb the atmosphere of discipline and serious training in your class. Before and after class, show respect (bow) when entering and leaving the training area. 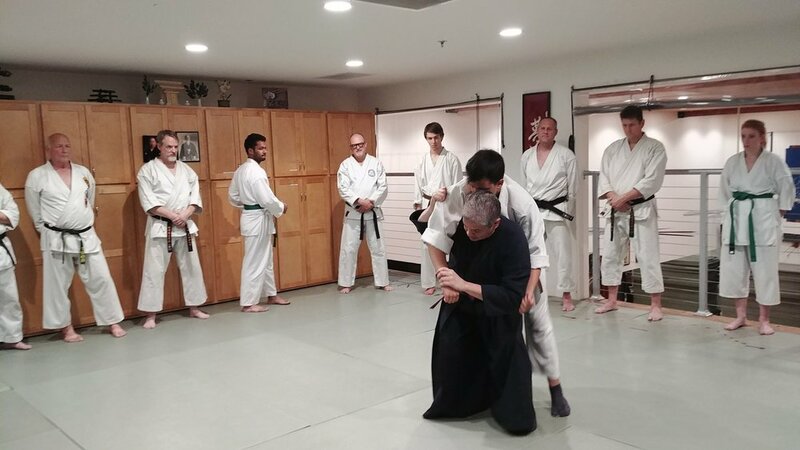 During class black belt instructors are to be addressed as "Sensei": assistants are "Sempai". To acknowledge a question, roll call, or comment, respond with "hai" or "osu". Show courtesy, respect and self restraint at all times. No punching, kicking, or striking the Raines Center-McLeod room blue wall pads. Uniform weight and durability determines price. All gis are white and come with a white belt. Best Karate Series, Volume 1 (Comprehensive) & Volume 2 (Fundamentals).......$15 ea. If paying by check for uniforms, equipment, or test fees, make payable to Ty Aponte. Sorry, no refunds. DO I NEED TO BE IN TOP PHYSICAL CONDITION BEFORE I BEGIN MY KARATE TRAINING? No, Our classes are structured so that the training program gradually develops and improves each individual's level of physical conditioning. Classes are relaxed and evenly paced. WHAT CLOTHING DO WE NEED FOR PRACTICE? There is a special uniform called the "karate gi" ("gee)", which can be purchased upon enrollment. The karate gi is required within the first few weeks of training. Until then, one can practice in shorts or a gym suit. HOW LONG WILL IT TAKE TO BECOME PROFICIENT AND GET A BLACK BELT? There is no fixed length of time since the achievement depends largely in the ability of the individual and the amount of time spent on serious training. The typical training period for the black belt has been about three years. The black belt, however, is only the beginning and not the end of our goals. Tests are held two times per semester. CAN I GET INJURED DURING TRAINING? The bow (rei) is a traditional gesture of respect and formal greeting. We bow to show our respect for the art, our instructors, fellow classmates, and ourselves. The manners, custom and etiquette of karate help set a tone of discipline and respect. It is hoped that these attitudes will carry over outside the dojo (training) hall. IF I HAVE HAD PREVIOUS MARTIAL ARTS TRAINING, WHERE DO I FIT IN? We welcome all students with previous martial arts experience. There are many similarities and differences among the various martial arts styles: thus, it is important to "empty your cup" so that you may be receptive to learning new ideas and techniques. We recognize experience, and we make every effort to provide a training regime that will allow you to progress as fast s your own hard work and commitment warrant. Occasionally we invite students with Black Belts from other organizations to share their knowledge with the class. WHY DO WE MEDITATE IN CLASS?